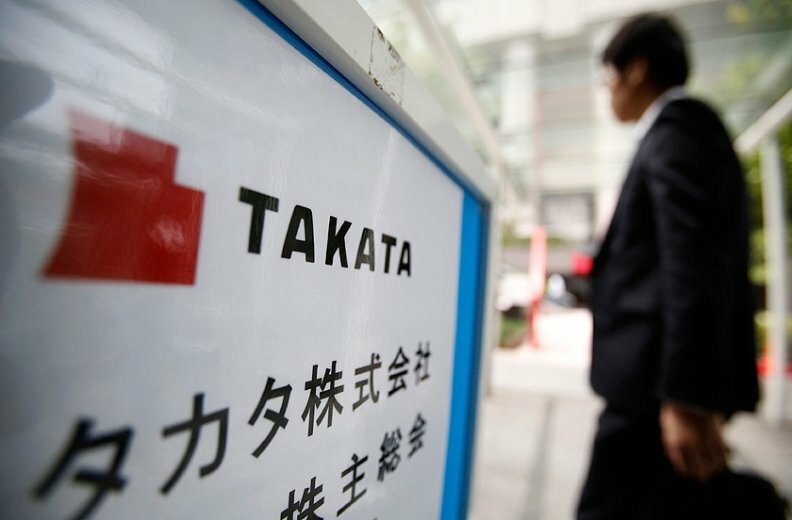 TOKYO (Bloomberg) -- Japan may face a shortfall in supply of replacement airbags as automakers recall 9.8 million vehicles in the country to swap out potentially defective devices made by Takata Corp., according to its transport ministry. Toyota Motor Corp., Honda Motor Co. and Nissan Motor Co. are among Japanese carmakers that have stepped up precautionary recalls in their home market after widening their safety campaigns in the U.S. The preventive measures added about 7.3 million vehicles to the repair list. Automakers are first fixing older vehicles and those that are believed to have higher risk of rupture, according to Masato Sahashi, director of the recall enforcement office at Japan’s transport ministry. Takata, the Japanese airbag maker at the center of a global safety crisis, has told regulators in the U.S. that the company is depending on three of its key competitors to produce the bulk of millions of replacement parts. The inflators made by the company have ruptured during deployment and sprayed parts at motorists, leading to more than 40 million vehicles being recalled worldwide. The transport ministry may be able to narrow the range of vehicles that need to be fixed once the root cause is determined, Sahashi said. About 30 percent of all the vehicles recalled in Japan have been repaired, he said. Excluding preemptive recalls, the completion rate is 82 percent. Carmakers are installing about 80,000 to 100,000 air bag replacement kits a month in Japan. Components for as many as 460,000 vehicles under regular recalls have been secured, Sahashi said. Autoliv Inc., Daicel Corp. and ZF TRW Automotive produced about 50 percent of the inflators for replacement kits in June, a proportion expected to rise to about 68 percent by March, Takata said in a letter sent to U.S. regulators.